Six production companies get waivers to keep their UAVs in the sky. The FAA might not be quick to approve delivery drones for the likes of Amazon and Google, but the government body is playing nice with those who work in Hollywood. Six production companies have been granted FAA waivers which allow them to operate drones on shoot locations in the United States. This marks the first wave of such permits, and finally lays out rules and regulations for how drones are used in the entertainment industry. The companies that have been granted waivers include Astraeus Aerial, Aerial MOB, HeliVideo Productions, Pictorvision Inc., RC Pro Productions Consulting, and Vortex Aerial and Snaproll Media. Most seem to specialize in UAV cinematography, which is no surprise -- there's plenty of money to be made in niche production angles, assuming you have the right equipment. The permits were announced after the Department of Transportation, the FAA, and the MPAA (run by former Senator Chris Dodd) reached an agreement on rules and regulations. If and when a drone is to be used in filming, those companies with waivers must notify the FAA when a drone is to be used, so the body can alert local air traffic controllers to their presence. The drones also have a flight ceiling of 400 feet, and must maintain line of sight with the operator. 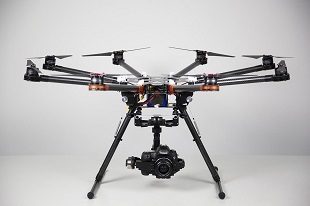 Camera drones have already been used in a number of big-budget films, including the Harry Potter series, Skyfall, The Wolf of Wall Street, and more recent films like Transformers 4, and The November Man. And with drone tech getting cheaper and more readily available by the day, you'll be seeing drone-captured video in more and more projects in the coming years.